I’ll start with a follow-up from last week’s column about the Mt. Mansfield Lift-Exchange Ticket Books. I received a note from Steve Berry after last week’s column was submitted to the Reporter. Steve had the correct answer that it took two coupons to ride the T-Bar, but he also made a very interesting observation. Steve says of the Stowe regulars he skis with: “many of us use the number of six runs as the minimum we have to take. That was the breakeven number of runs whereby it was better to have purchased a day ticket. If you did only five runs, a book was cheaper.” So even on those cold, windy days they still try to get their six runs! As I mentioned last week, lift lines were what made the ticket books part of the decision process for a day of skiing at Stowe and etched them in our memories and habits. On weekends and holidays Stowe lift lines on the major lifts used to reach 40-60 minutes. Add in the fact that the lifts took 12-15 minutes to get you to the top and you can see the problem. So what was the solution? Well, faster lifts would help. The first detachable chairlift was the Quicksilver Superchair quad at Breckenridge, Colorado. Doppelmayr built the lift in 1981. By separating the loading/unloading process, the main haul rope could run over twice as fast as conventional chairlifts! Throughout the 1980s, detachable high-speed lifts proliferated. Poma and CTEC joined Doppelmayr in providing detachables throughout the skiing world. There were quads and then six-packs – all much faster than their predecessors. So when did Stowe get its first detachable high-speed lift? Surprisingly I received no answers to last week’s trivia question! Maybe it was too easy or not historical enough. Anyway, the first FourRunner Quad replaced the old single and double chairs in 1986 for the 1986-87 season! 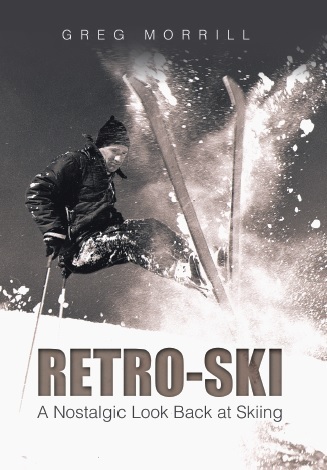 The FourRunner was the first detachable in New England and changed the whole dynamic of Stowe skiing. It definitely shortened the lift lines. The old lift blankets were gone. Skiers went from worrying about getting enough runs to worrying about when the Matterhorn opened. Some such as Boston “Robert” tested just how many runs you could get in a day. Other resorts felt the effects produced by the high speed lifts also. I remember reading an article that in Vail, the village restaurants saw a measurable increase in lunch business with the addition of high speed lifts. People didn’t mind taking more time at lunch since they knew they’d still get in plenty of skiing. You could eat with the crowd at Mid-Vail or a beer and burger at Bart & Yeti’s – easy choice! Personally, I feel that high speed lifts were the biggest change I’ve experienced in my skiing experience. Many of the other changes were more gradual. Ski equipment has changed a lot since I started, but it was incremental so any one improvement didn’t seem that significant. However one ride on a high speed lift and I knew things would never be the same. You only need to take a ride on an old fixed-grip chair like Lookout to get a reverse example of what I’m talking about. High speed lifts have been around for more than thirty years, but areas are still upgrading old, slow fixed-grips with high-speed detachables. This season Alta will debut a new Supreme lift. The old triple becomes a detachable quad and they’ve lengthened it so the load point is at Alf’s. While this makes great sense from a layout point of view, it makes a long runout even longer. But who cares if the new lift whips you back to the top for another run down Sidewinder. One Response to Lift Lines Succumb to High Speed Lifts! After coming back to skiing after a long hiatus I noticed the almost complete lack of lift lines. I remember the interminably long gondola lift line at Stowe in the 70s. If only I still had my 20 year old legs.